2019 – Another New Year is upon us!! Most people, myself included, choose at least one resolution to work on in the New Year, and most often improving overall health ranks high on the list. Food is often the first and foremost habit people aim to change with the hope of big impact on health. When living with diabetes, food is always a consideration. 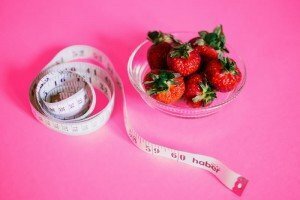 If you have taken a good look at your intake and think it is something that may be hampering your overall health along with glucose management goals then it might be helpful to review what US News & World Report along with a panel of health experts feels are the top “diets” for long-term health. 41 diet plans were evaluated and ranked. Given these plans had to be easy to implement, safe and effective for weight loss/management, beneficial for heart health and for prevention of diabetes, I’d say that the top rated plans are likely the best for BG control long term as well as ability to stick with the guidelines over the years. How do you go about choosing the best for yourself? This is really based on what you want to work on, food preferences and how much change you can see yourself making. While the plans are supposed to be easy to follow, change is hard and it takes about 3 weeks for adults to make a new habit feel easy. So, while you choose what you think you can do, remember to also give yourself a few weeks to get used to the changes. I will not bore you with the details of all 41 ranked plans (if you want the details of all of them, get a good cup of tea and sit down for a read), but wanted to give the basics of those that as an RD, CDE and person with type 1 diabetes myself, I feel would be the best options for long-term, overall health benefit as well as the ever present need for optimized BG control. These come in 1st and 2nd on the list and I’d put them together as they are very similar. Focusing in on vegetables, fruit, whole grains (think quinoa), fish/chicken and healthy fats such as avocado and nuts. These plans, among others like them, aim for real food, limited to no processed food and aids with heart disease prevention as well as a benefit for brain health. This plan has been around for ages and continues to change as the years go by. My mother-in-law has been a long time WW member and has done a fantastic job of weight loss and now maintenance. I add this program to the list because unlike many other “diet” plans, this one has the benefit of in-person meetings or online chat groups to aid with support and keeping yourself accountable to goals. It doesn’t eliminate any food, but instead teaches you to make smart choices for using up your allotted calories (or “Points” as WW calls them) through the day. It can be beneficial for diabetes management, as it enable you to choose food, read labels and account for intake as well as focus on overall impact of healthier living strategies like addition of exercise. This one I had to look up and evaluate. I think it has benefit for diabetes management. Ranked as #6 on the list, this plan focuses on 4 food categories, into which all foods should fit. The goal being you get the most bang from foods that have the highest water content as it increases the weight of what you eat (categories 1 and 2), thus offering the satiety after meals that many with diabetes look for, but in lower calorie foods. Soup, veggies and fruits, yogurt – all have about 75-90% of their substance from fluid/water. So, they fill you up with lower calorie amounts. These foods, in consideration of diabetes management also allow for larger intake with not as much insulin use thus aiding in weight management as well. This plan teaches there are good and bad fats and carbs and the goal is to choose the good over the bad essentially. Low glycemic carbs are a focus and this plan is higher in protein and plant based fats. The Low GI carbs aim to keep BG more stable thus helping avoid swings in BG and the changes in appetite that this brings about. The lower GI carbs also are higher in fiber (mostly being vegetables) and thus help to keep you feeling full longer along with the effect of higher fat and protein at the meal time. You can read the book to do it yourself, or there is now a home-delivery program for this diet if you are inclined to pay for someone else to prep your food. Vegetarian diets ranked higher than Vegan diets for overall nutrient quality as well as ability to aid with heart health and prevention of diabetes. Given both diets focus on a large intake of vegetables and plant based foods, the effect on BG can be beneficial if one isn’t buying a lot of processed and packaged products just because they don’t contain animal products or meat. Vegetarian diet tends to be easier to follow as it includes dairy as a potential source of protein, but one has to be careful to not overindulge as dairy can be high in fat depending on food selection (“I’m vegetarian…I’ll have the grilled cheese and French fries”). LOW CARB PLANS: While the report does not think highly of the Paleo plan (ranked #33), the Ketogenic diet (ranked #37) or the Whole30 diet (ranked #38), I beg to differ on their ranking. As someone who has tried one of these plans (read about my experience here: Whole30 in September 2018) and as a CDE who has worked with many who have tried and continue to use and do well with these plans, it seems important to note they can be beneficial if followed to a T.
To note, these plans are restrictive mostly from the standpoint of carbohydrates and all from a standpoint of processed food. All are restrictive in a bit of a different way. But, all can also prove to be very helpful for glucose control if you can commit to long-term use. The Paleo diet allows for carbs, but no sugar, dairy, legumes or grains. Is a bit more well-rounded for macronutrient intake, but focus is more on protein and veggies at meals and not so high in fat. This diet is the most restrictive – carbs under 50g per day, and mostly all from veggies, not a lot of protein and with at least 70-80% of calories coming from fat – the goal being to convert the body to using fat as the energy source instead of carbs. Heavily used in the community of people with diabetes in the past 5-10 years, as it can give quite remarkable stability to BG. The caveat being you really have to follow the plan with consideration of macro intake on a day to day basis to ensure you stay in ketosis which gives the stability to glucose. This can be the limiting factor for some who want the occasional “non-keto treat”. Sensitivity to carbs increases and going off the plan for one meal can create quite a swing in BG. In my opinion it is an all or none plan – start it and stick with it and for most people glucose control is very stable. Oye! … that is only the tip of the iceberg for potential diet plans. If this has your head spinning with where to start, I’d love to help you sort out what might be a good place for YOU to start. Give us a call at 610-642-6055 and set up a visit with me. OR, reach out via email, jennifer@integrateddiabetes.com and let me know what your questions might be and we’ll figure out how to help you navigate choices. What do you think about vegetable smoothies? I have type 1 diabetes. I am having two per day and my Dexcom CGM is a straight line between my 80-150 glucose limits. Also I have lost about 10# so far and have about 15 more to go. Every third day I opt for regular diet. 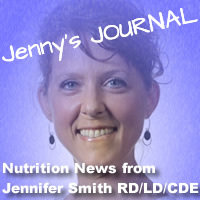 individual diets and dietary needs are complex and our dietitian Jennifer Smith is available for consultations. feel free to contact our office to set up an appointment.